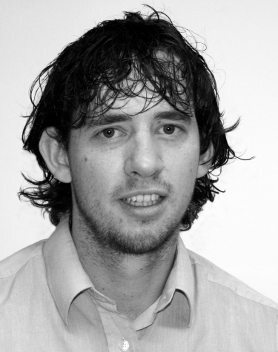 Joseph is a Postdoctoral Researcher in the MMRRC at the University of Limerick. He is primarily working on the development and testing of maritime unmanned aerial vehicles (UAV) for the inspection and monitoring of marine renewable energy devices. Joe assists on several of the underwater research projects including underwater manipulators, mini-ROV’s, remote presence technology and the offshore operation and maintenance of ROV Latis. During Exercise Cathach in the Shannon Estuary Joe lead the shoreline robotics response team of international UAV operators in 100km2 of segregated airspace. Joe graduated with BEng (Hons) in Aeronautical Engineering from the University of Limerick in 2010. He completed a PhD with the MMRRC in 2014 under the supervision of Daniel Toal and Hammad Ahmad. His PhD research was supported by a scholarship from the Irish Research Council for Science, Engineering & Technology (IRCSET) and Bord Gáis under the Enterprise Partnership Scheme (EPS). His PhD research focused on the development of control systems for the flight control of tethered parafoils with applications in Airborne Wind Energy (AWE). Between 2010 and 2014, Joe has developed and tested real time, embedded control systems for tethered airfoils. This work ranged from control system architecture design with hardware & software development using bespoke solutions integrated with OTS components and subsystems. Joe also developed and modelled a novel power take off system for pumping mode airborne wind energy, which provides continuous power output from this discontinuous source using multiple synchronous non-reversing generators. Further information can be found on Joseph’s UL Research Profile.